Organizations need to constantly conduct evaluations to be able to improve the evaluation performance and the operations of the business. Evaluating in business is basically the process of gathering and analyzing data and information that are needed in order for the business to achieve results. There are many types of evaluations that the business can do. 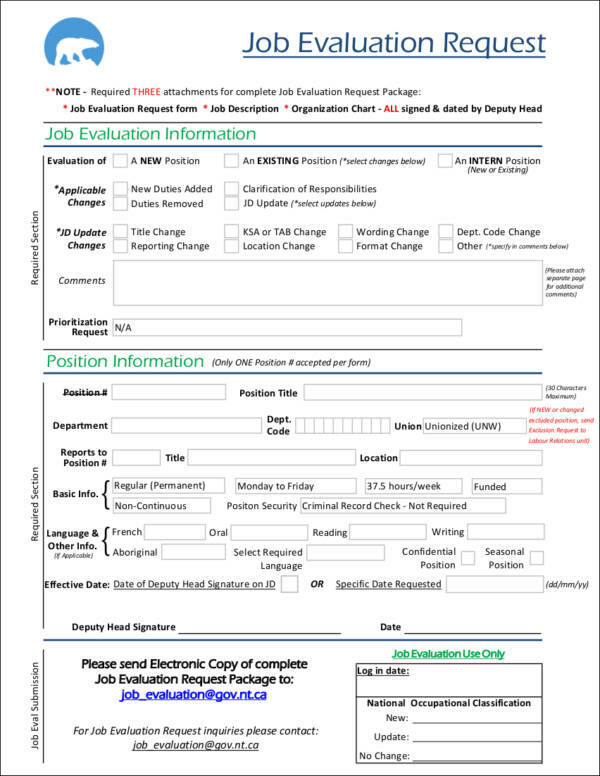 One example of an evaluation form that is essential for small and large corporations is a job evaluation. In a business, there are various types of job positions with different values and rankings. To be able to identify the value of a particular job position, a job evaluation is done. A job evaluation is essential so that the business can develop performance standards for their employees, rank the various job positions for the purpose of having the appropriate salary or pay grade, create job descriptions and specifications, and help in the recruitment process. To help you further understand the importance and the definition of a job evaluation, you can read more information about it below. Here, you will also read about the steps for conducting a job evaluation, the methods for evaluation that you can use, and the job evaluation process. 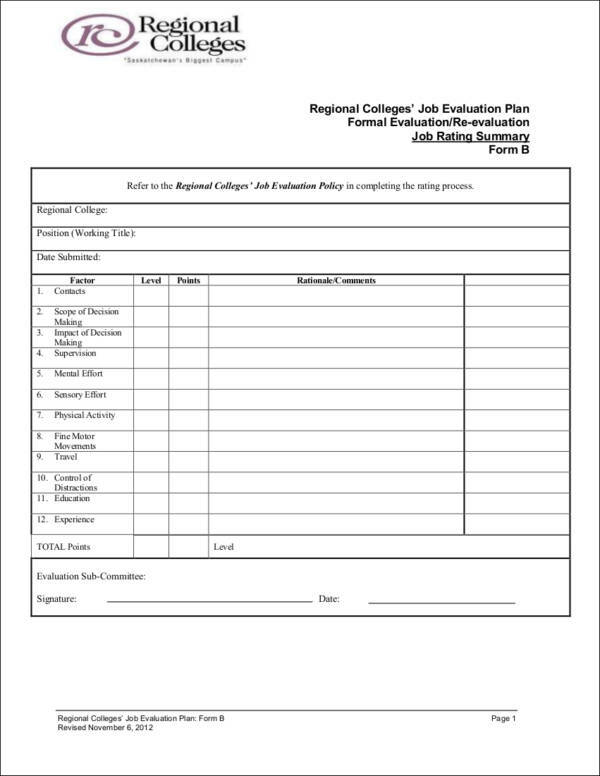 The job evaluation forms and samples that you will find in this article will also be useful to you if you need to outline or format your evaluation. A job evaluation is a sample assessment done by various organizations and businesses in order to determine the value of a particular job position compared to the other positions within the company. Various job positions are compared based on certain factors through a systematic process. Through a job evaluation, organizations will be able to establish or create a rational pay structure for the company. A job evaluation is also useful in keeping a high productivity level, as well as the satisfaction of an organization’s employees. Job evaluations are performed in order to examine the similarities of different job positions, as well as their responsibilities. This allows the business to determine the pay, promotions, assigned work, and other equality issues since it is always important to have fair and equal opportunities for every employee in the business. A job performance evaluation is also conducted to help the business determine the right pay for their employees and other matters regarding the compensation of a company’s employees. The salary grade is one of the contributing factors on whether a particular employee is satisfied in his/her workplace. A job evaluation also helps businesses create job descriptions for different job positions, standards for the business on how employees should perform, competencies, and an evaluation system that will help them assess the performance of their employees. A job evaluation also allows businesses to create a career path for their employees. Providing various opportunities to your employees is important especially if you want to keep them satisfied, which will ensure the success of the business. A job evaluation is also important in the recruitment process of the business. 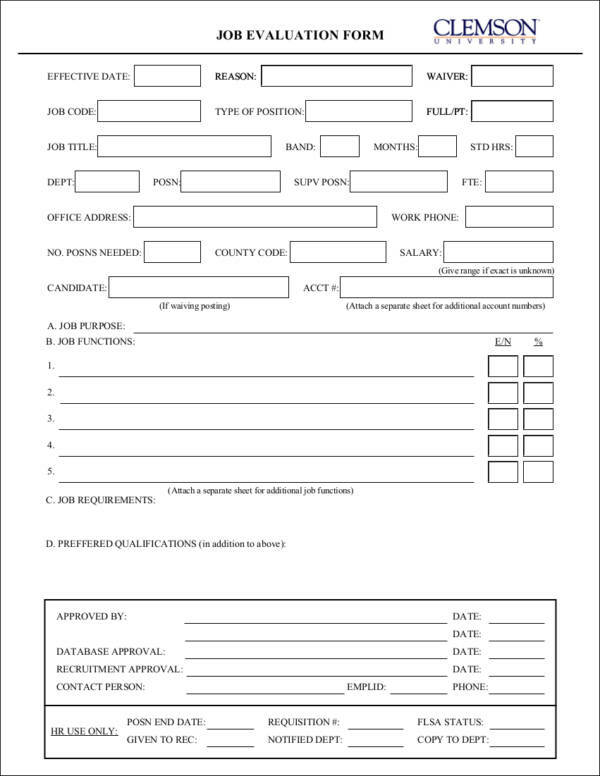 This allows businesses to develop methods in creating job postings and assess the qualifications of the applicant in order to determine whether they are fit for the job position being offered. Step 1: Define the jobs through a job analysis. First, gather all the necessary information regarding the job content of the different job positions in the company. 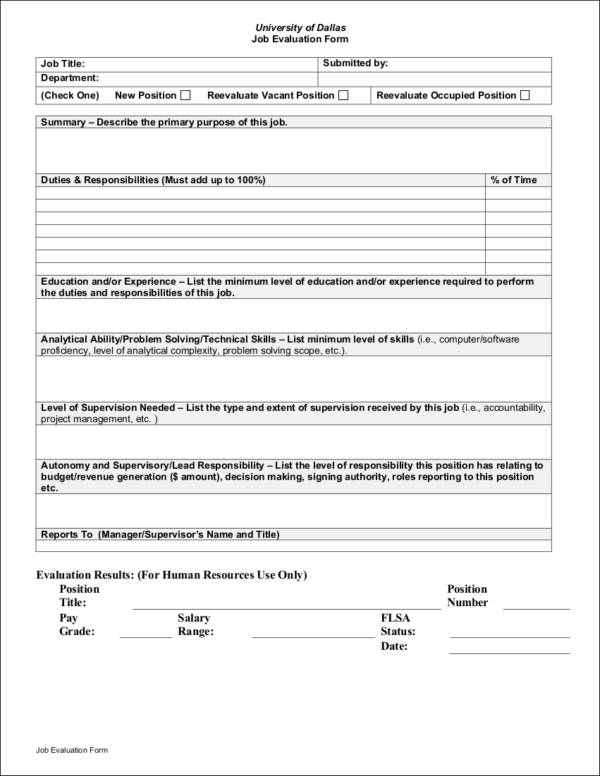 The information that will be collected through a job analysis is important since this will help businesses create a job description for the different positions. 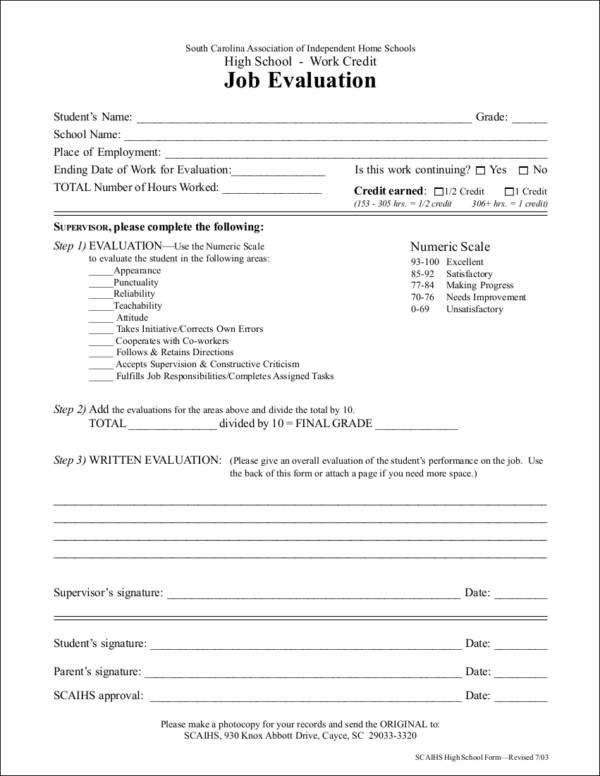 Step 2: Choose the evaluation method that will be used. 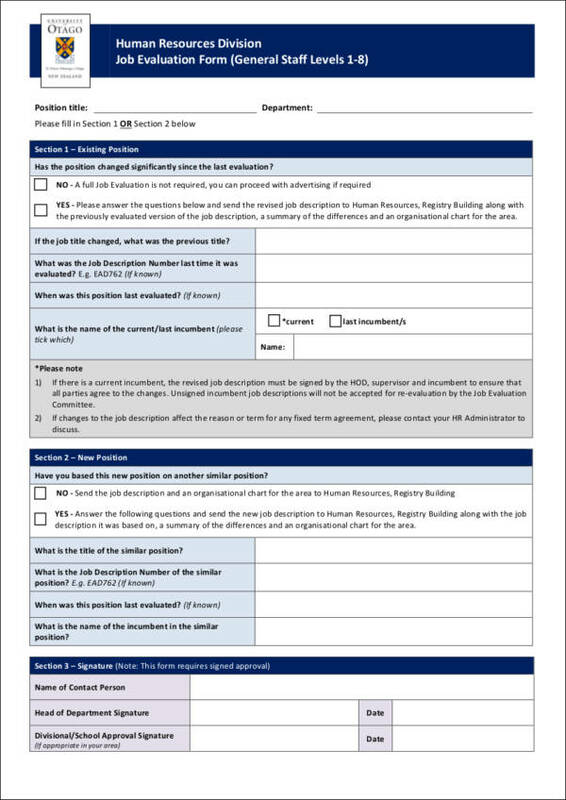 Select the right self-evaluation method for the job evaluation that you will be doing. Examples of the most common job evaluation methods include the ranking method, points method, and the classification method. You can also customize these methods depending on the needs of the company. Step 3: Determine the factors that are essential to the business or organization. 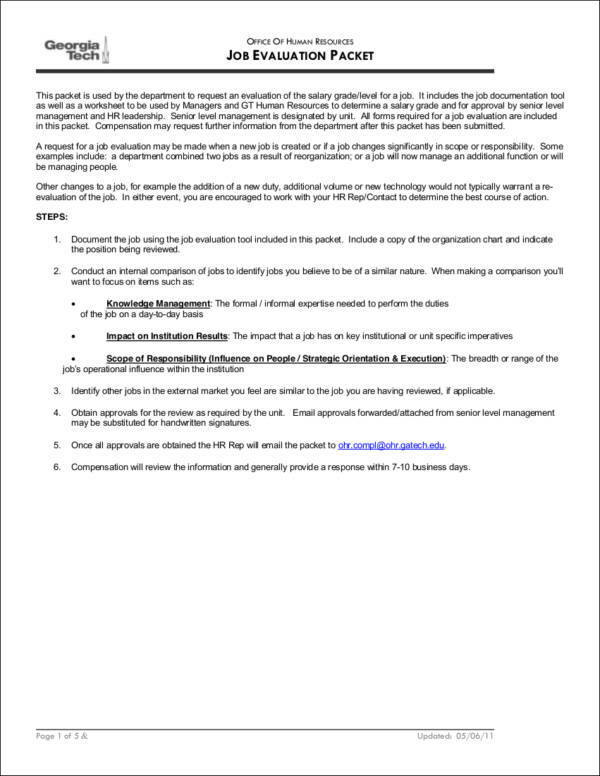 Step 4: Assess the various job positions. Perform an assessment of the different jobs based on the factors that you have gathered. Based on the evaluation method that you have selected, gather and interpret the data through a point system. Step 5: Rank the different jobs. Now that you have assessed these job positions, rank them based on the job that has the most points. Rank the jobs from the most points to least ones. Step 6: Create a job hierarchy. Set up a job hierarchy based on the ranking that you have created. Once a job hierarchy has been established, the company will be able to use it to create performance evaluation standards, for career development, training of employees, and create an appropriate salary structure for the company. The ranking method is the process of ranking the different job positions based on various factors including the complexity and the value of a particular position in the business. These positions are ranked from the most valuable to the least valuable one. This type of method is useful for small business startups checklists because it involves a simple process. The points method refers to the process of providing points to each of the factors that are valuable to the company. These are done on a rating scale. Some examples of these factors include the skills, effort, and so on. The point system helps businesses in effectively and accurately performing an evaluation. The classification method evaluates job positions based on categories or jobs with the same value and content. For example, semi-skilled, skilled, managerial, and executive goals for employee evaluation are some examples of common categories. The classification method is the best method to use for large companies like government agencies and corporations that have a number of locations. The processes of job evaluation can be divided into varying segments where the functions of job positions and the requirements for qualified candidates can be evaluated furthermore. 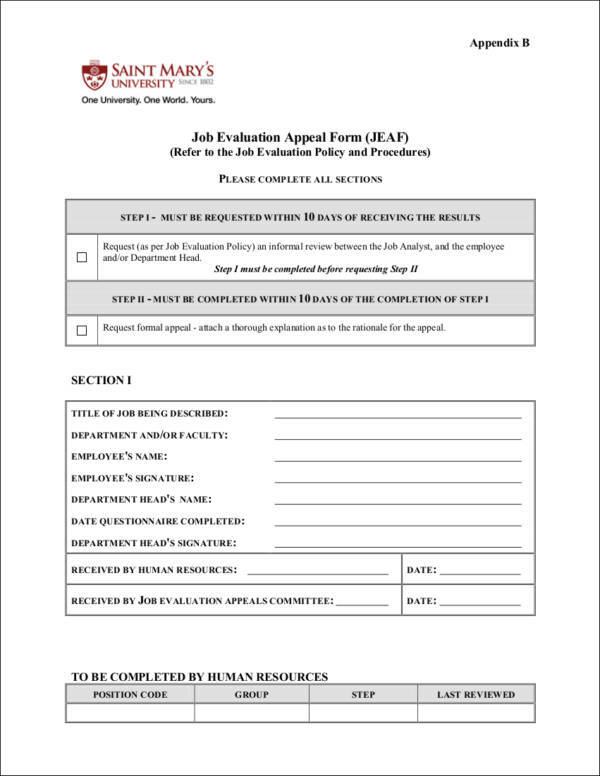 Here is a short process where job evaluation can be incorporated. Identify the operations of the business and the nature of transactions that it exchanges with the purchasing power of consumers and buyers. Assess the job positions that are needed by the business so particular work functions can be supplied. It is best to start with an external evaluation where there is an in-depth comparison of the work post credentials and benefits that are applied and implemented by companies of the same nature. Once an external evaluation has been done, then the management is ready to allocate resources for the development and improvement of the organizational structure and how work positions can be identified and differentiate it from one another. There is a need for a job evaluation form to be created so that results can be recorded. With the current information about the job positions within a business, it will be easier for companies to create sound and objective judgment on how they are going to provide the needs of the employees when it comes to salaries, benefits, and other rights. 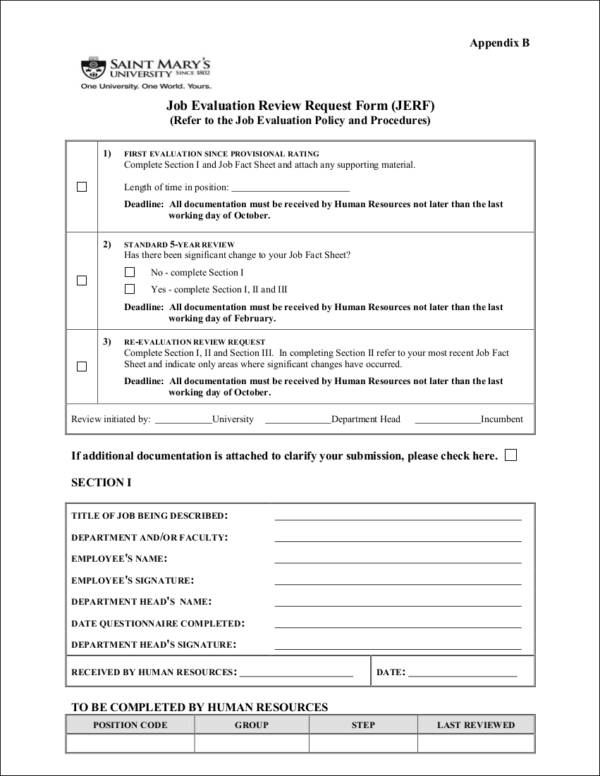 Additionally, aside from the job evaluation templates and samples that you will find in this article, there are also other types of evaluation forms available on our website. 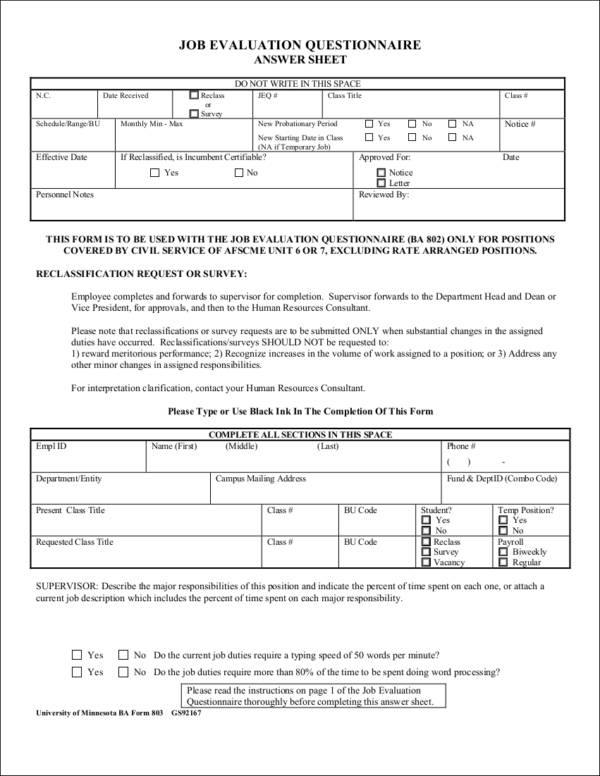 Some of these include an employee performance evaluation template, a self-evaluation form template, vendor evaluation form template, and a meeting evaluation form template.